Another one falls - Magaera slain! Another boss is defeated taking s to 9/13 HC, can we keep the momentum going next week? Durumu, you're next! Sick Gamers on the rise! 8/13 down! We started the week with a new kill on Council and followed it up with a great end to the week - Starting our last raid of the week with a 1 shot of Primordius before going on to make with rather quick work of Twin Consorts. 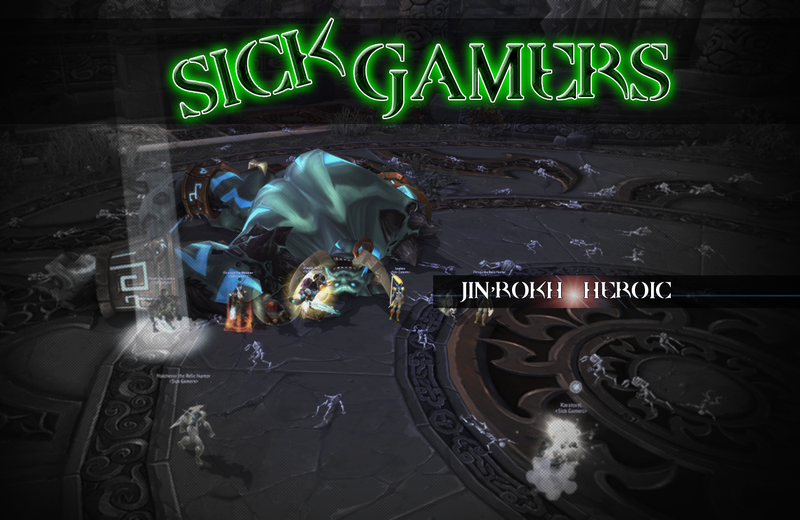 Bouncing back from another week of AFK's we started the night with Pringli solo healing Jin'rohk (it was Sepo's fault I died! ), made quick work of Horridon and then onto Tortos. A few attempts to familiarise ourselves with mechanics and he went down rather easily! - giving us time to try Primordius on Sunday. What a week! 3 new heroic bosses down. After some troubles last week and a few close calls this week Horridon was a 1-shot. Ji-Kun was next in our sights and we managed to get him on the last pull of the night. 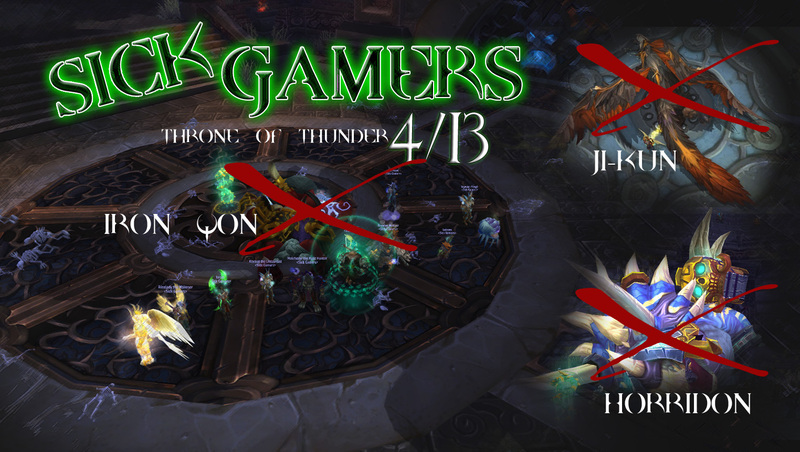 The 3rd new kill for the week was Iron Qon which also went down without to much trouble. Only a short week (2 raids) due to AFK's but looking promising for next week! Just the right amount (or lack of) bruteforce required for a somewhat easy kill!